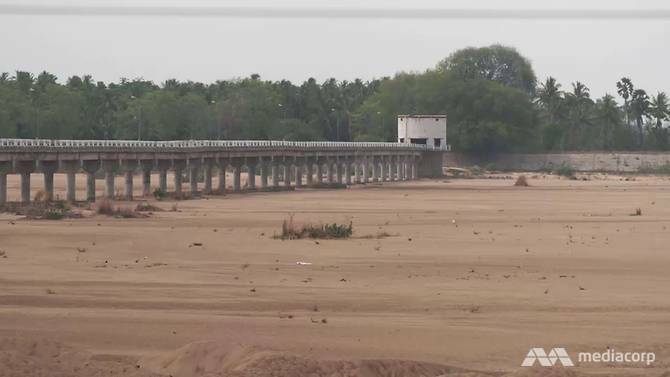 As crops and farmers die, experts blame a man-made “drought of common sense” for the drying up of Southern India’s Cauvery River, once a lifeline to millions. Insight investigates. INDIA: Much of the once bountiful and lush-green rice fields was reduced to a dry, yellow-brown landscape, after successive years of scanty rainfall and severe drought. For farmer Mr Vijayakumar, 52, the rice crop was his family’s sole source of income. Hit by the double whammy of crop failure and mounting debts, he took a lonely walk to the edge of his two-acre rice field in Tamil Nadu in January this year. There the tough, rugged man, used to the hard toil of a farmer for decades, hanged himself from a nearby tree. 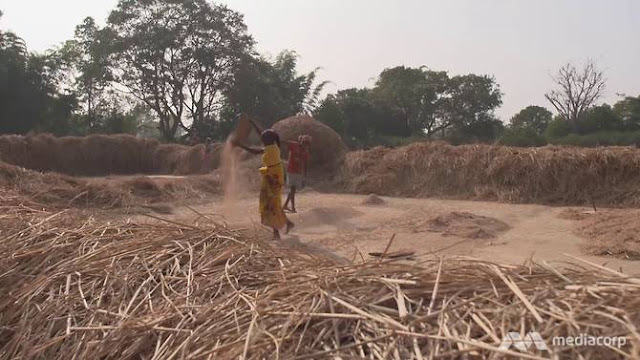 Mr Vijayakumar had borrowed from moneylenders to pay for his daughter’s wedding and for fertilisers for his crops which didn’t grow, she told the Channel NewsAsia programme Insight. He is just one of roughly 350 farmers who have died in Tamil Nadu in recent months, according to unofficial estimates. In the past 20 years, more than 300,000 indebted farmers in India have committed suicide - many due to family debts, reported The Hindu newspaper. 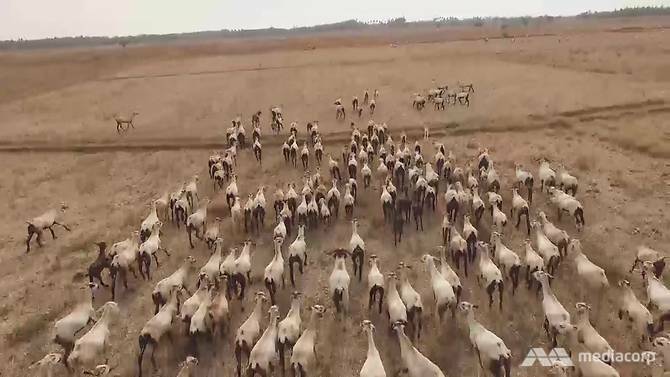 Years of scanty and inadequate rainfall have led to the drying up of water reservoirs and village water bodies in southern India, especially the grain-growing regions of Tamil Nadu which is facing its worse drought in 140 years. “People are leaving the villages and moving to the cities… They don’t have food to eat and water to drink. There is no fodder for the livestock,” added the winner of the Ramon Magsaysay Award and the Stockholm Water Prize. The once-mighty 800km Cauvery River, a major lifeline in southern India on which millions of farmers depend, has turned into dust tracts in several sections before it trickles down to the Bay of Bengal. Dense forests once helped to retain water on the hill slopes, enabling slow percolation into the streams that feed the river. But widespread deforestation along the Cauvery Basin has led to soil erosion and a reduction in rainfall. Scientist and environmentalist Dr Vandana Shiva pointed out that the region gets only four months of rain during the monsoons, during which in ideal circumstances, the water would be naturally stored in the humus and earth of the forests. 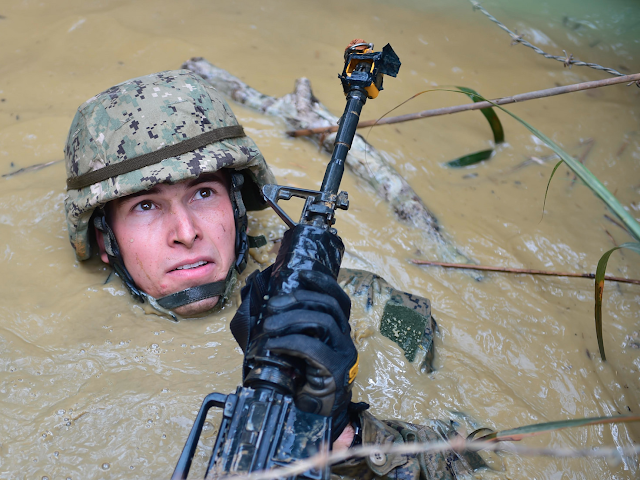 “But if you don’t store it, the rain comes, causes a flood, and you have a drought,” she said. Dr Shiva also blames the government’s ambitious scheme that aims to link Indian rivers by a network of reservoirs and canals, with dams diverting the flow from areas with a water surplus. She said: “There’s this assumption that you can have bigger and bigger cities and you can divert water from hundreds and thousands of miles away. To take all the rivers in India and divert them to the cities and industrial areas - all rivers will die. Critics argue that damming the rivers will cause coastal erosion, deforestation and the displacement of people, and exacerbate the impact of climate change. Dr Singh pointed out that the introduction of centralised irrigation systems and large dams have led to serious soil erosion. 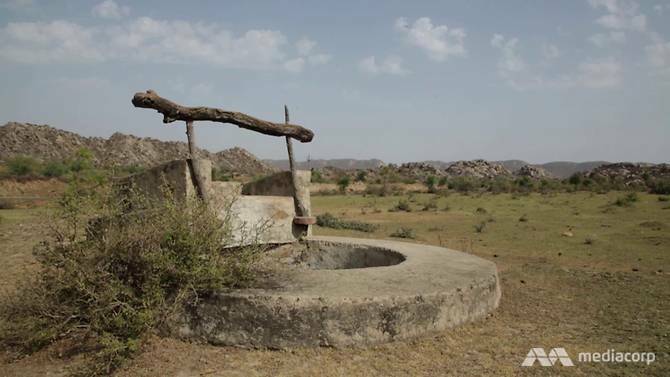 while the over-extraction of underground aquifers depleted the water table. Bauxite mining has also wreaked havoc and contributed to a collapse of groundwater levels. Environmental activist Mr Piyush Manush said that the rampant extraction of bauxite – from which aluminium is produced - from the Servarayan Hills has led to an environmental disaster. Bauxite absorbs rainwater and slowly releases water into the streams. But the extraction of bauxite has left the hills bare and arid. “If the hill is undisturbed, the bauxite and other minerals inside act as a sponge to absorb water and release it slowly. “Now, if you chop the hill for bauxite, the hill gets hardened with exposure to sunlight. And once it hardens, it loses that sponge effect,” he said. Faced with the water crisis and their crop failures, desperate farmers have turned to money lenders for loans to buy food, seeds, fertiliser and equipment. These money lenders charge exorbitant interest rates and as debts pile up, farmers often find themselves unable to cope with the pressure. Some think that by killing themselves, they can save their families - but moneylenders don’t stop hounding the survivors. “We still have debts that we haven't been able to repay. None of our debts have been cancelled,” said Madam Vijayakumari. Not far from her village, another rice farmer Mr Ashokan, 55, was also troubled by the same thoughts of crippling debt and destruction of crops. He went to the bank to get another loan to buy pesticides and fertilisers, but collapsed and died while standing in line. His widow, Madam Vedhavalli, believes he died due to the stress of his crop failures. In April, distressed and angry drought-hit farmers from Tamil Nadu took to the streets of Indian capital New Delihi to protest, demanding farm loan waivers. A few state governments have conceded, agreeing to waive their loans amounting to hundreds of millions of dollars. But farmers like Mr Gnanaprakasam, 59, in Samudayam village still feel threatened, with upstream states like Karnataka refusing to share Cauvery River’s water with neighbouring Tamil Nadu. The districts of Thanjavur, Tiruvarur and Nagapattinam will transform into deserts. All the crops will be destroyed. FOR NOW, A COMMUNITY SOLUTION? 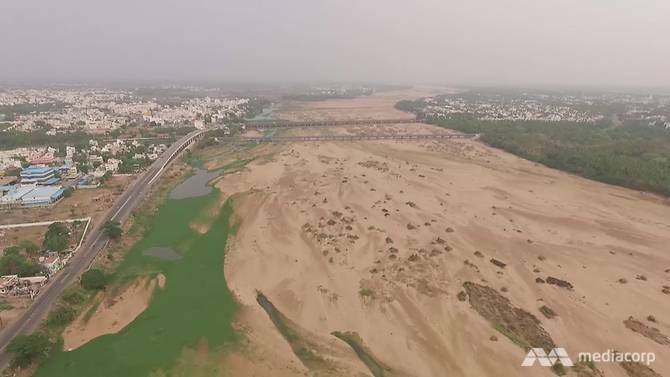 Dr Singh, also known as India’s Water Man, has been fighting an uphill battle to revive water bodies and rivers in the semi-arid region of Rajasthan for more than 30 years. He has set up more than 8,000 water tanks and revived seven rivers in Rajasthan. In Alwar district, about 200km from Delhi, he has used path-breaking water conservation techniques to bring water back to more than 1,000 villages. He believes local water preservation and community-driven water management systems are the only ways to end the “terrible disaster”. The solution to this is community-driven decentralised water management. This is a solution that the government is not looking to implement. They are only looking at large dams and centralised irrigation systems - which are the main reasons for this drought. Dr Sunita Narain, director general of the India-based research institute the Centre for Science and Environment, believes that Tamil Nadu needs to augment its water supply through a decentralised water harvesting system. This means building water tanks, and going back to the traditions of harvesting water, restoring and recharging every lake and pond in Tamil Nadu. She also thinks that the state needs to move away from water intensive crops such as sugar cane. “Third, make every industry and city in Tamil Nadu water-wise, so you use less water and you recharge and recharge every drop of water the Singapore way. It has to be a combination of all three,” she said. For the farmers’ widows like Vijayakumari and Vedhavalli, it may be a case of too little, too late. “Saving the Cauvery River is akin to saving the lives of the farmers,” said Ms Vedhavalli. “We are afraid to go ahead with anything now. We can't depend on the rain for anything. Watch the Insight special on ‘India’s Dry Rivers’ here. "Vladimir Zhirinovsky is a Russian politician and leader of the Liberal Democratic Party of Russia. He is fiercely nationalist (which is actually an antithesis to the 'liberal-democratic' party name) and has been described as "a showman of Russian politics, blending populist and nationalist rhetoric, anti-Western invective and a brash, confrontational style." However, Zhirinovsky states that the new sanctions against Russia are not Donald Trump's doing, but that of the financial elite. He draws comparisons to previous examples throughout history where US bankers behaved in exactly the same manner." Vladimir Zhirinovsky, the leader of popular Russian opposition party the LDPR (formerly the Liberal Democratic Party of Russia), has given a wide reaching interview where he analysed the reasons behind and the repercussions of the new US sanctions. Zhirinovsky who is multi-lingual and holds advanced degrees in world history, stated that the grip of financial institutions over US politics have made the US political elites subservient to banking interests. He also stated that Congressional opposition to Donald Trump demonstrates that America is moving further from a strong Presidential system and closer to a parliamentary system. The Russian opposition veteran leader also stated that in the long term, America’s self-imposed isolation through globally unpopular sanctions will ultimately weaken the US Dollar, saying that the Dollar is the 21st century’s version of the ‘Iron Curtain’. Now watch, as Vladimir Zhirinovsky explains what America is doing to itself and the world. Would US let Russian journalists/politicians to talk live? Michael Bohm has been defending American criminal policy for years by now, all the time on a live talk-show. A winter ‘heatwave’ is likely to sweep QLD (and much of Australia really) across the next week or more, seeing temperatures of up to 10ºc above average in parts of QLD during this period. Above image – Maximum Temperatures for Sunday (July 30th) via BSCH / OCF showing the heat still in place across large parts of the State. Across the next 7 days at least, a high pressure system is expected to become planted over Southern QLD with a ridge extending into Northern and Central QLD. This entire system which is also likely to affect the majority of Eastern Australia, is likely to produce clear and sunny conditions for the most part (apart from some isolated showers along the Northern Tropical Coast). Its also likely to draw off a warm air mass situated over QLD resulting in an increase in daytime maximum temperatures. OCF Forecast Maximums for Tuesday, August 1st via BSCH showing the heat remaining. Across South-Eastern QLD, the Darling Downs and Wide Bay, the typical 18-22ºc maximum temperature averages will be a far cry from reality. Although it has been abnormally warm already for the most part this month (Brisbane 0.7ºc above average, Dalby 2.1ºc above average, Gympie 1.3ºc above average), things are likely to be ramped up even further with a week of temperatures ranging between 5 and 8ºc above average and sitting in the mid to possibly even high 20’s for most locations. Out west its even worse with the majority of Western and Northern Inland QLD is expected to see temperatures more typical of mid Autumn or mid Spring, with maximums ranging between the high 20’s and low 30’s. This is a far cry from the low 20ºc temperatures which are typical of this time of year around Birdsville and the mid 20ºc temperatures which are seen around Mt Isa. While technically speaking it isn’t a ‘heatwave’ given its only ‘Winter’ and temps are in the mid 20’s not mid 40’s. By numerical reality, it is a heatwave to a degree. What we mean by this is, the thresholds for heatwave criteria are about 4-5ºc above average for both maximum and minimum temperatures for at least 3 days. Due to the clear skies, minimum temperatures are expected to be normal, if not below average with light frost still expected over the Darling Downs, Granite Belt and Western parts of South-East QLD most mornings. Its solely the daytime temperatures which are roasting. 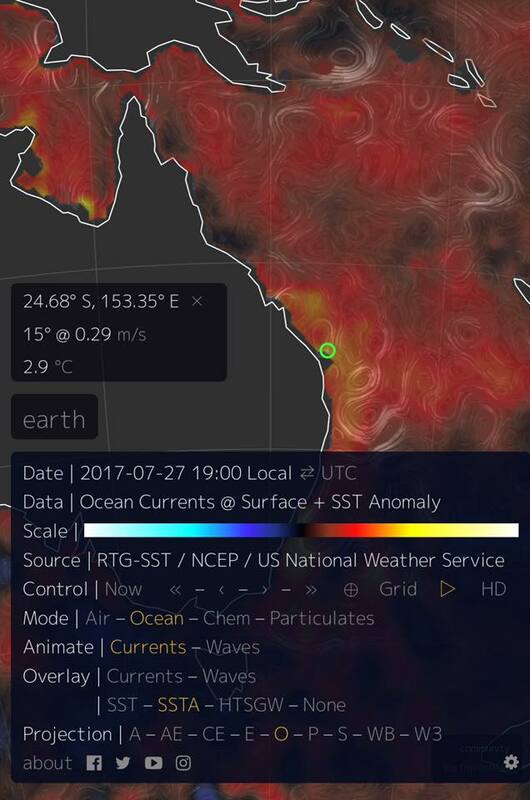 The Southern Great Barrier Reef is now in its 6th day above 2C anomaly - the threshold for coral bleaching. Global warming is destroying the worlds reefs. Sydney sets new July heat record, 26.5 degrees breaking the record set 27 years ago (1990) which was 25.9c. Last year it took until October to get this warm. Do US military industrial complex certainly doing nothing to help President Trump and trying to restore relations with President Vladimir Putin of Russia. A military convoy sing in Poland on the border of Ukraine after the recent sanctions passed by the Senate makes one wonder what will come next. In this video, Luke Rudkowski of WeAreChange gives you the latest breaking news on Donald Trumps controversial ruling on Transgenders in the U.S Military, former DNC chair Debbie Wasserman Schultz aid being arrested after he was fleeing the country, the erosion of freedom around the world and the lastest moves by China, Russia, North Korea and a lot more. Listen to "Episode #196 - SUNDAY WIRE: 'States of Nature'" on Spreaker. This week we deliver another LIVE broadcast from the sunny shores of Devon in the UK, as SUNDAY WIRE host Patrick Henningsen is joined by Mike Robinson, editor of the UK Column, as we discuss this weeks top news stories both foreign and domestic. While the Trump White House is embroiled in another episode of political archaos, the US votes to resume sanctions against Russia, while Israel threatens to break the fragile Russian-brokered ceasefire in Syria. Trump drawn fire from liberal progressives and Hollywood over his recent announcement to ban transgender soldiers from US military. We also discuss Charlie Sheen and Whoopi Goldberg’s appearance in new 9/11 film trailer due out this all. Later in the first hour we’ll discuss the recent controversy over a new US law that would make organized protests or boycotting Israel illegal in the US. In the third hour, we’ll try and connect with 21WIRE Associate Editor Vanessa Beeley on the ground in Aleppo, Syria to discuss two media creations from Syria – the Bana of Aleppo myth, and also find out what happened to young Omran Daqnesh. Later in the program we’ll also try and connect with SUNDAY WIRE intrepid correspondent for culture & sport, Basil Valentine, reporting from the Port Elliot Literary Festival in St Germans, Cornwall. This may be the most important interview that you will hear this year. It's certainly the most important video you can share today. We talk a lot about the coming collapse of the US petrodollar, but in this interview economic expert and former stock broker Lynette Zang exposes just how close to the edge of total collapse we are. It's a sobering interview loaded with tangible, quantifiable facts that ought to wake up even the soundest of sleepers. EU countries which already allow a moratorium on bank payouts in insolvency procedures at national level, like Germany, support the measure, officials said. “The desire is to prevent a bank run, so that when a bank is in a critical situation it is not pushed over the edge,” a person familiar with German government’s thinking said. Why Might Customers Want to Run? Here are a trillion reasons: Over €1 Trillion Nonperforming EU Loans: EU vs US Percentages. I am unsure why the graphs sometimes use different country codes than appears in the first column. Where different, I show both symbols. The list of country codes is shown below. Forb ratio stands for forbearance ratio. Cov ratio stands for coverage ratio: (Loans – Reserve balance)/Total amount of non-performing loans. It’s a measure of how prepared a bank is for losses. 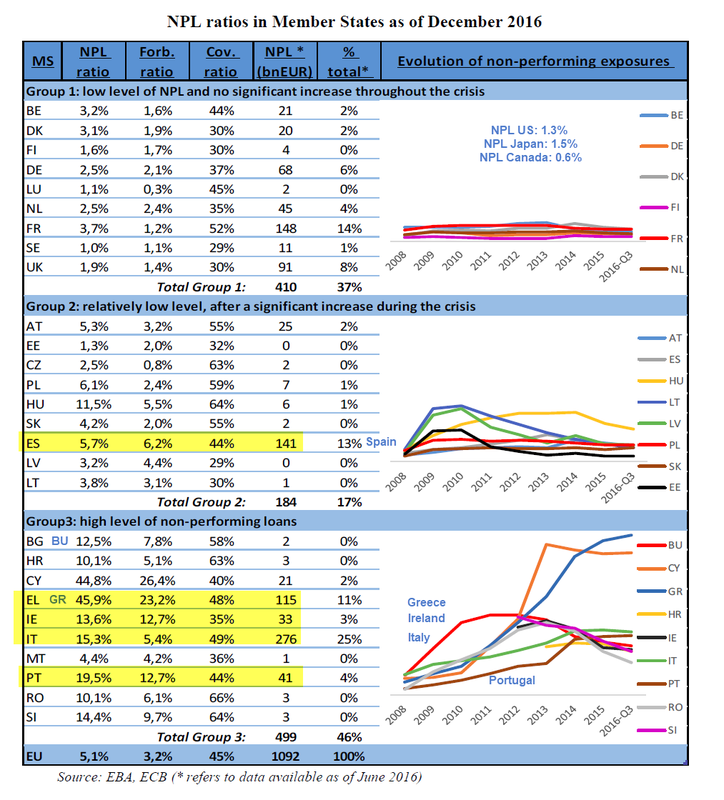 Italy, Greece, Spain, Portugal, and Ireland have a combined €606 billion in non-performing loans. That the EU has to consider such drastic measures proves the point. A water shortage in SWEDEN?! The end of American dominance in Iraq? "Faster and more than previously expected"
Sergei Lavrov inerviewed By NBC "journalist"
Are you a "male supremacist"? After the floods -"we're all good here in NZ"